Description: This rich and creamy vegan cheese is coconut-based and seasoned with a fermented tofu, traditionally called ‘Chao’ by the Vietnamese. 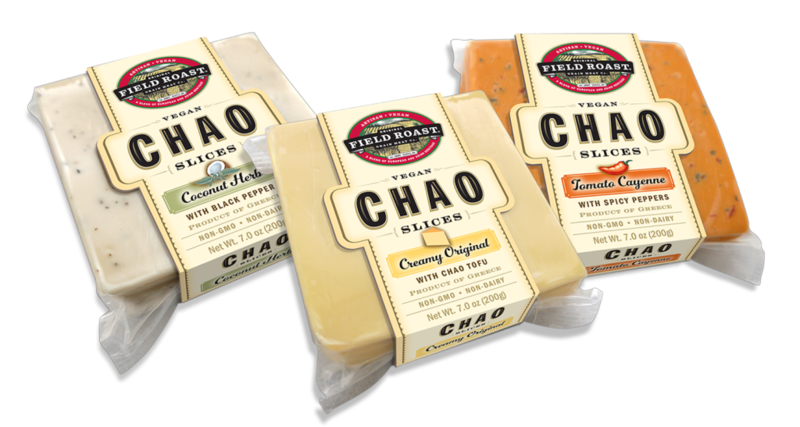 Chao Slices have bold flavors and a cheesy bite right out of the package or melted on your favorite hot sandwich or burger. Among my vegan friends, there is wide variation in how much they like this product. For instance, my wife and I and some vegan friends thought the “original” flavor was blah. Others love it. I thought this might be helpful to prospective first-time buyers. More broadly, I’m heartened that there are so many new flavors and brands of vegan cheese, and overall, I think the quality is increasing at a fast pace. If you don’t like one variety, try another and you may find success. All avoid the cruelty of dairy. Thank you for sharing your feedback with us Gary! Great advice! Indeed, if you don’t like one brand, try another! As you said, taste buds vary widely so one person’s favorite might be another’s least favorite and vice versa. The good news is that there are more and more plant-based choices becoming available every day! Yes!! Been wanting to try this brand but it can be pricey..have heard so many great things about it! Most cheeses are expensive. It’s an expensive food. Hopefully prices will come down as demand grows.